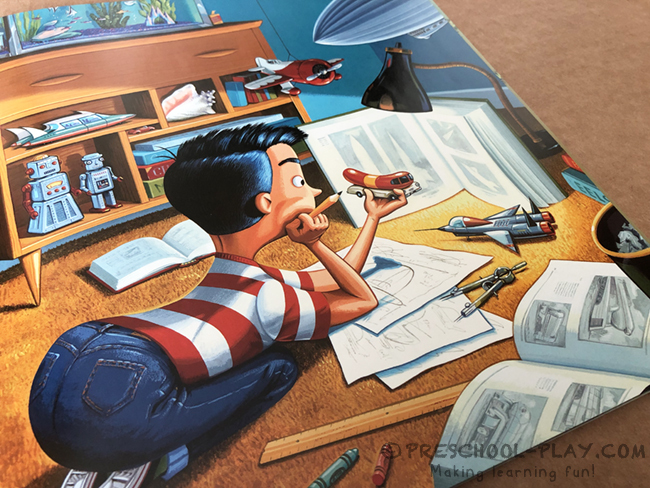 This writing prompt, which is included in our Transportation Math and Literacy packet, is a wonderful extension to the vibrant, action-packed story If I Built a Car by Chris Van Dusen. A young boy named Jack verbally designs his ultimate dream car. Inspired by zeppelins, Cadillacs, trains, old planes, and the infamous Weinermobile, Jack crafts a spiffy sedan of the future. Composed of shiny chrome and vibrant colors, no detail or amenity has been forgotten; the car has a snack bar, a fish tank, a fireplace, and even a pool! With Robert the Robot at the controls, it’s time for a test drive! This whimsical creation of the future has the capability of traveling on land, in the air, and on and under the sea. 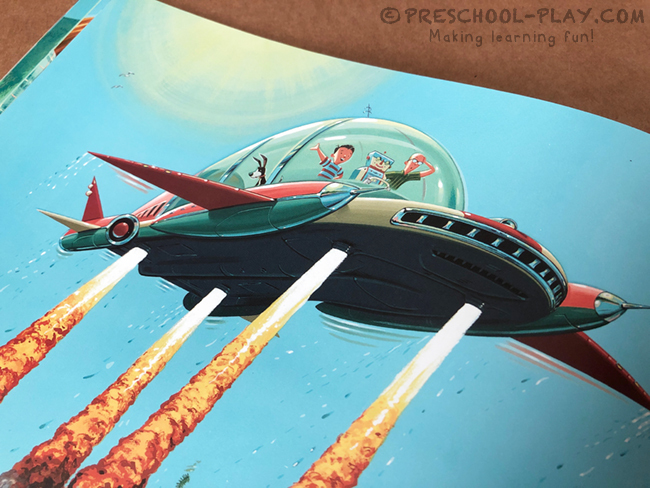 If I Built a Car car, with it’s 50s retro style illustrations and concepts of science fiction/fantasy, rhyming, and new vocabulary, fosters imagination. After reading the story, have your students brainstorm some design ideas of their own. 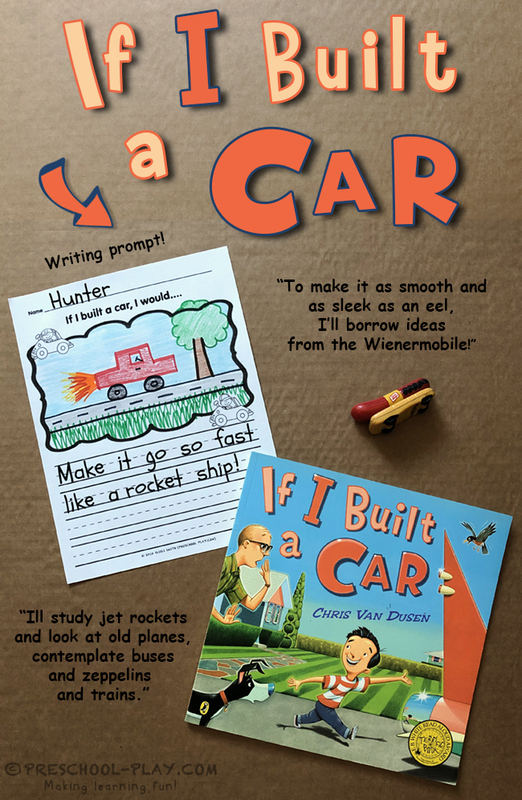 Provide learners with this writing prompt and ask them what they would do if they built a car. 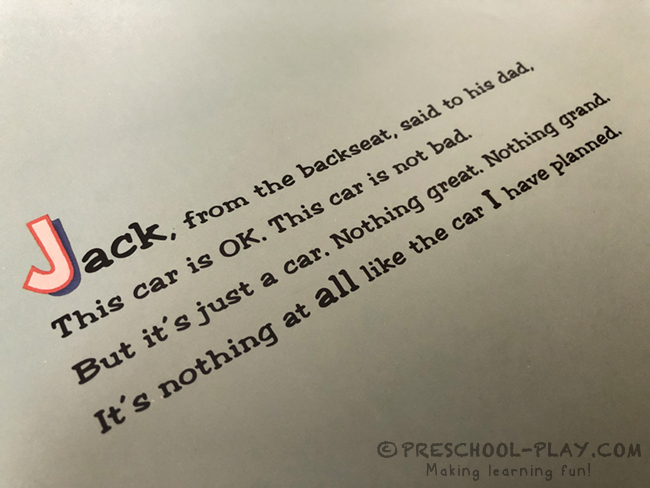 Older children may want to copy and/or write their own words. Have younger learners dictate to you, and repeat each word slowly as they watch you write it out onto the sheet. Encourage all students to draw a picture of their story in the space provided. To learn more about our Transportation Math and Literacy packet go here . To get this writing prompt go here. 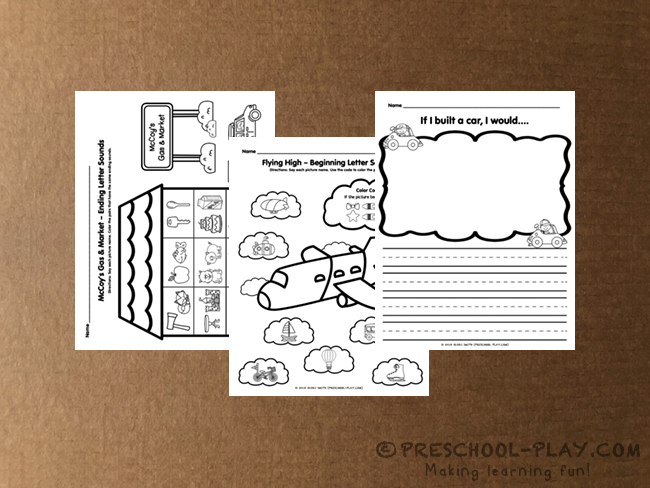 Print this activity out on cardstock (laminate for heavy use). Students will name each picture card and clap and count each word part. They will then place the card on the appropriate train, e.g., gir-affe/train #2. Print this activity out on cardstock (laminate for heavy use). Cut out the cards and insert them into a pocket cube/die. Provide pom poms, vase gems, mini erasers or some other manipulative for children to use as markers. For individual use, the child will roll the cube/die, identify the picture, and place a marker in the appropriate column. Repeat until a column is full to the top; that vehicle wins. In small group, provide each child with his/her own sheet. Children will take turns rolling, marking their own roll. First person to fill a column to the top wins the Diner Dash! 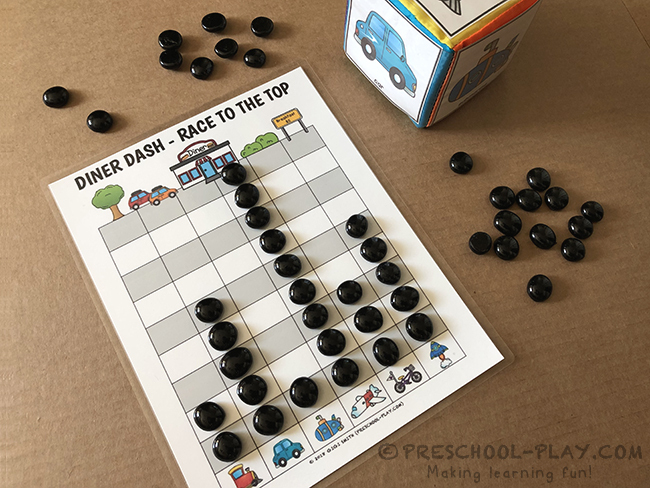 Encourage learners to take a good look at their graphs, and discuss which of their vehicles came in first, second, and so on. Print these out on cardstock (laminate for heavy use), and cut the puzzles into strips. 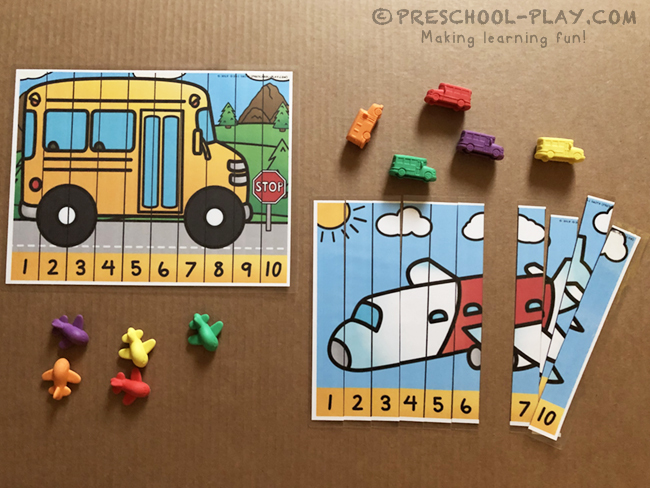 Students will complete the puzzles (school bus, airplane, and submarine) by placing the pieces in numerical order. Print these cards out on cardstock (laminate for heavy use). Cut the puzzles in half. Students will say the picture name and work to match it with its beginning letter. 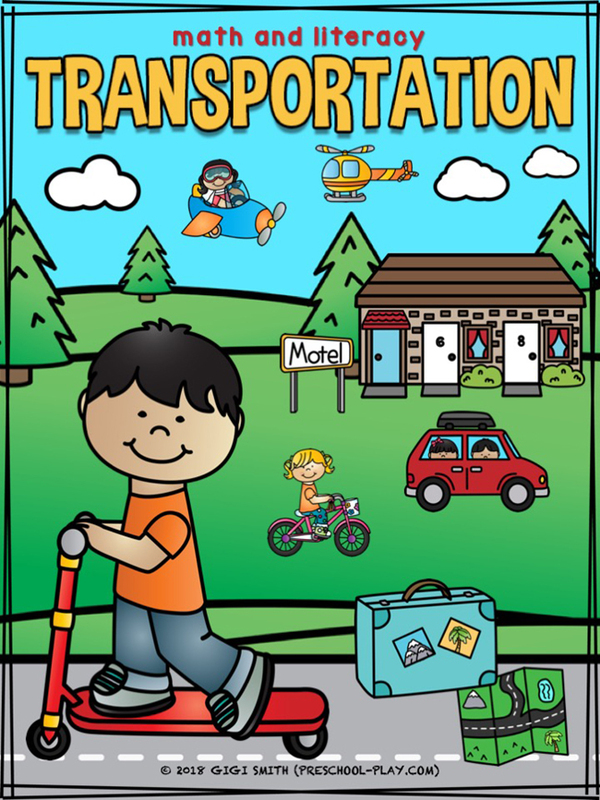 This Transportation Math and Literacy packet also contains 12 worksheets. 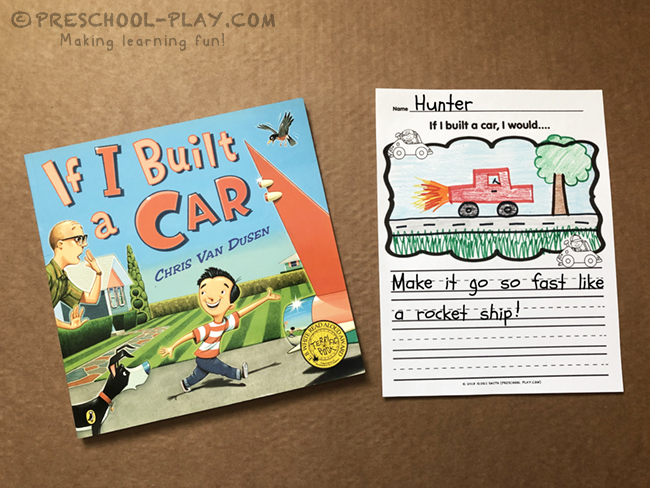 Included in that number is a writing prompt to go along with the book If I Built a Car by Chris Van Dusen. You can read more about this book and activity here. 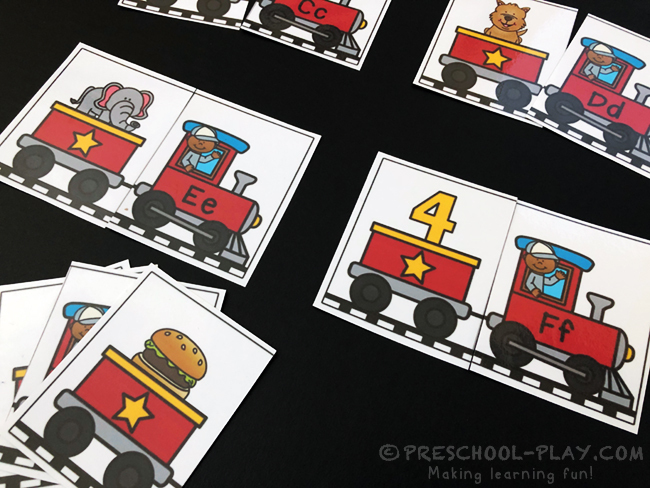 GET THIS TRANSPORTATION MATH AND LITERACY ACTIVITIES PACK HERE.